Our cat and dog scratching remedies provide natural relief for itchy and dry skin, dog's itchy ears, dandruff, yeast and many much more. Our holistic itching relief program has been recommended by veterinarians nationwide since 2005 because it really works! Using a few natural remedies and diet changes can be life-changing giving your pet much needed relief from scratching, licking, chewing, biting, hot spots, dandruff and nonstop itching! Why Do Pets Scratch and Itch? There are many reasons why your pet may be itchy and getting to the root cause of your cat or dog's itchy skin is key to finding an effective allergy treatment. It's important to bring your pet first to the veterinarian for a diagnoses. 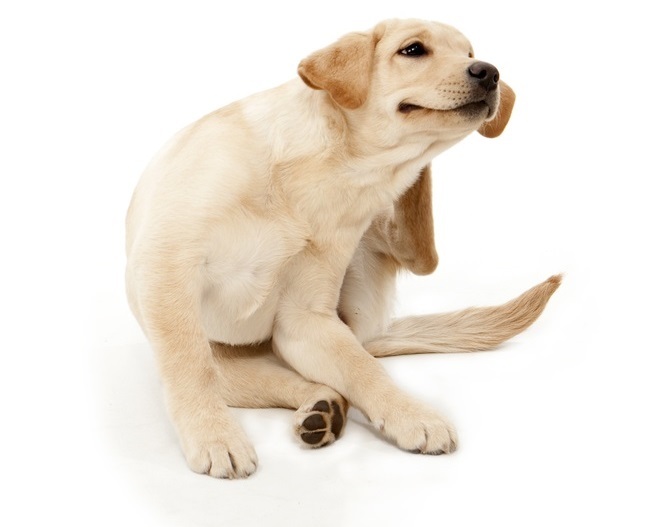 Some of the most common reasons a dog or cat may be scratching are allergies, fleas, parasites, yeast, bacterial infection, mast cell tumors, fleas or parasites. There is no one medication or supplement that will cure your pet’s allergy symptoms. Different supplements work better depending upon the type of allergy symptoms your pet has (e.g. 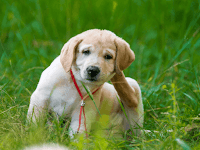 scratching, licking, doggie odor, hair loss, etc) What's important to know is that our supplements can be used along with the allergy treatments prescribed by your veterinarian. What to do if your cat or dog is itching or scratching constantly? For non-stop itching and skin problems a just a few home remedies along with diet changes can give your pet fast relief! Below is brief description of the cat and dog itching remedies along with suggested products for common pet allergy symptoms. Proaller - Especially helpful for environmental allergies. These drops temporarily reduce allergic itching and discomfort. This is a great home remedy for dog itching. Works most effectively when combined with NotaSAN drops to help reduce redness and skin problems. NotaSAN - Best seller! homeopathic formula that fights infections and is very helpful for improving allergy symptoms, scratching and itching. Can be used safely long-term to prevent recurrences. Use with K9 Yeast Defense to reduce doggie odor. Available in drops or capsules for larger pets. AllerEaze - All-natural AllerEaze is a leading allergy product for pets. AllerEaze contains scientifically proven quercetin, which reduces your pet's histamine response and can take the edge off allergy symptoms. AllerEaze is a must for any pet with mast cell tumors. Amazing Omegas - is a researched-backed, concentrated, therapeutic fish oil providing a powerhouse of Omega 3s in just a few drops. These omega 3s can give your pet a lustrous, beautiful coat and help eliminate dandruff. You will see quick improvement in your dog's dry coat. Can help with dry skin and improve allergy symptoms. Use with Power Probiotic to get rid of your cat or dog's dandruff. K9 Yeast Defense - Many dogs are constantly itching due to an underlying yeast infection. If your dog has had ear infections, smelly odor on your dog's skin or paws or is licking at the groin area, use K9 Yeast Defense along with Power Probiotic. How it works: K9 Yeast Defense contains natural anti-fungal ingredients such as caprylic acid, Pau d'arco and oregano that kill off yeast and help rebalance the intestinal tract. Silver Immune Support - Silver Immune Support is an all-natural, easy to use remedy to help your pet recover from a bacterial infection or viral flare-up. It is a broad-spectrum antimicrobial and well tolerated even by tiny pets. Can use orally and topically on your cat or dog's skin. Power Probiotic - The best probiotic for pets! Power Probiotic supports good digestion, helps fight infection and enhances overall immunity. Pure, safe and no fillers. A healthy GI tract (proper balance of good and bad bacteria) enables more effective absorption of vitamins, minerals and amino acids, which gives your pet a healthier skin and coat. Very important if your pet has taken any antibiotics and steroids as these medications kill off the friendly bacteria that support overall immunity. If Your Dog Has Itchy or Smelly Ears? 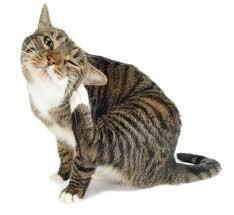 If Your Cat or Dog Is Scratching And Itching Constantly? Pets can be scratching and itching due to food or environmental allergies. Use these home remedies to help reduce the histamine response and itchiness. If Your Dog Is Licking And Chewing On The Groin Area? 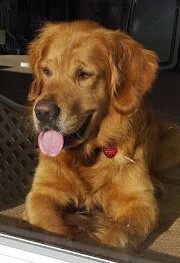 “I want to let you know how great Dakota, our Golden Retriever that we rescued, is doing. When we got him, he had bad ear infections that he had for months, and his skin was so black in the armpit and groin areas that we thought it was ground in dirt. He also had acid reflux and would bring up bile several times a day. It has taken several months, but the blackened skin (from yeast) is almost back to normal thanks to K9 Yeast Defense. I wish we had taken “before” pictures of his skin because the difference is remarkable...I can’t forget to mention using your food recommendations. His ears didn’t start to clear up until we got him eating food that he could tolerate. Thank you so much for your supplements and all your help. Dakota is a much happier dog thanks to you!" Pet owners can become discouraged because they may have already tried several diets. Many prescription, "hypoallergenic," and even grain-free diets still cause pets to scratch, because they are too high in carbohydrates or are hard for some pets to digest. It's important to eliminate all potential food allergens AND keep the carbohydrates to a minimum. Cats especially may have symptoms such as diarrhea or asthma along with the itching. Foods that are potential allergens are different for dogs and cats. AskAriel has helped thousands of cats and dogs with skin and allergy problems with much success. On the order form at checkout, please include your pet's diet and treat. Free diet tips for your pet will be included on the packing slip with your order. We understand how challenging skin problems can be for you and your pets. We are here to help. If you need information about a particular pet health condition and the products that can help, please email us for assistance. We do ask for your understanding however, as we cannot provide consultative advice due to veterinary regulations that require a physical exam.